How to add Ado.net entity data model in visual studio 2015.This entity data model are in 2013 but 2015 missing. 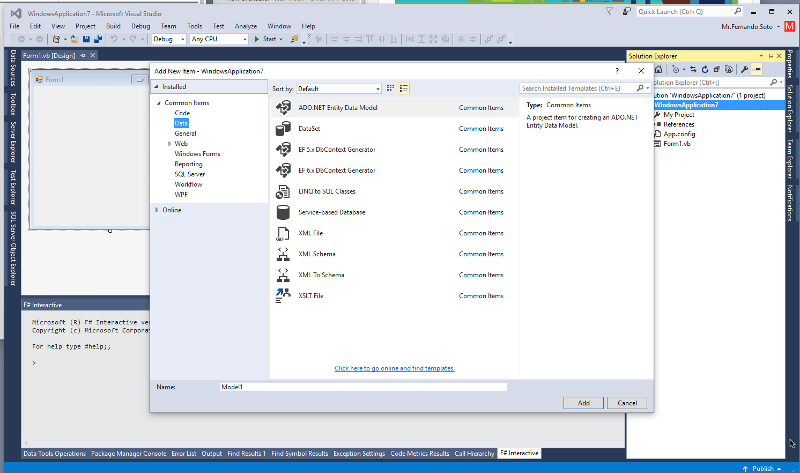 In my version of Visual Studio 2015 it is still there, see image below. Are you saying yours does not have as below? If not have you added all updates to Visual Studio?